Most dentists who graduate go into private practice to work on people. There are animal lovers who dream of working on animal teeth. Read this article featured in The New Yorker about a dentist who works on the teeth of several types of animals. A frequent question we receive is about the radiation exposure patients get when they get exposed for radiographs. 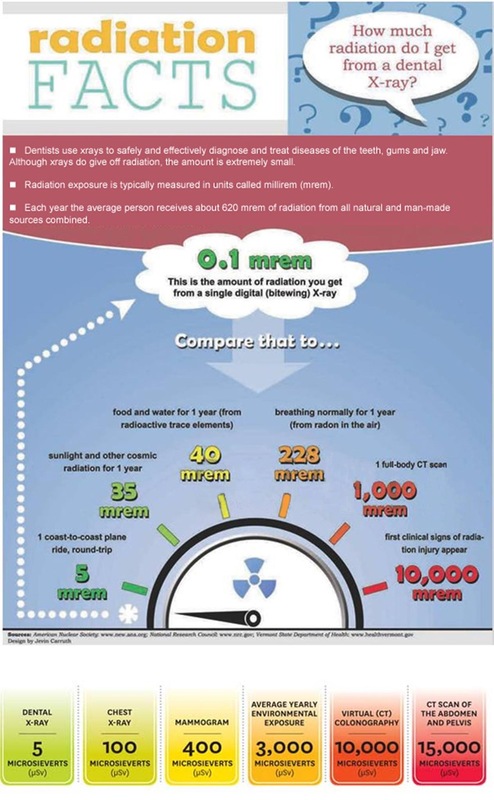 This infographic is great at explaining the amount of radiation you are getting from a single radiograph (x-ray).